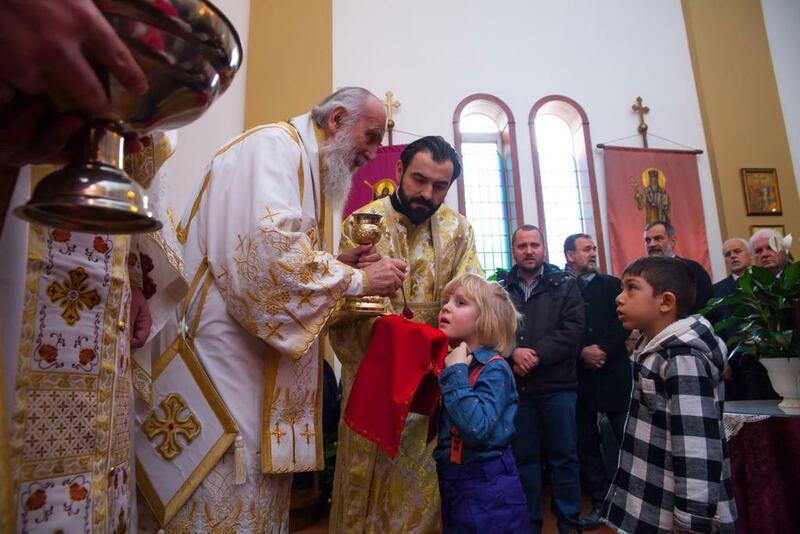 Toronto, Ontario - Serbian Patriarch Irinej celebrated the Holy Hierarchal Liturgy in the church of Saint Sava in Toronto on the feast-day of the Meeting of the Lord in the Temple, on 15 February 2016. On the feast-day of Meeting of the Lord, believers of the Saint Sava parish in Toronto had a great blessing and privilege to welcome their Primate, His Holiness Serbian Patriarch Irinej. 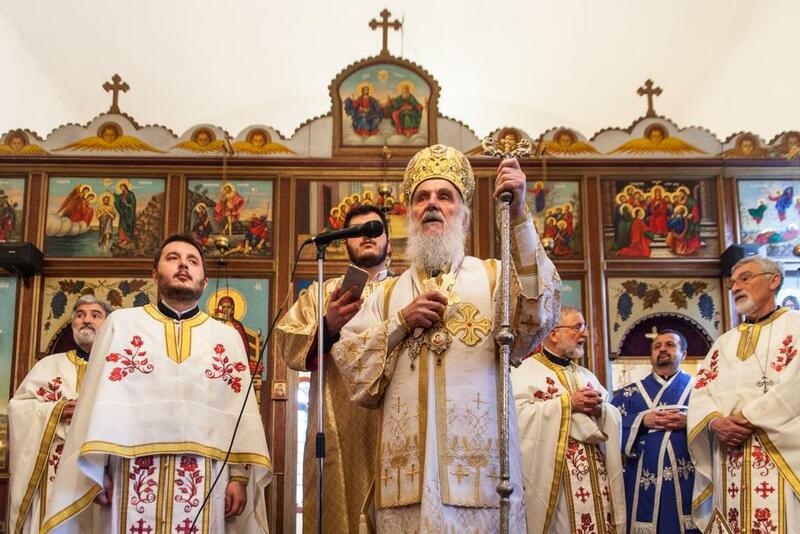 For the first time since 1990 when then Patriarch Pavle served Divine Liturgy in this church, Patriarch Irinej officiated the Holy Hierarchal Liturgy with the concelebration of nine priests and protodeacon Damjan Bozic. Many faithful along with the priests from neighboring parishes from the wider area of Toronto fulfilled the church. 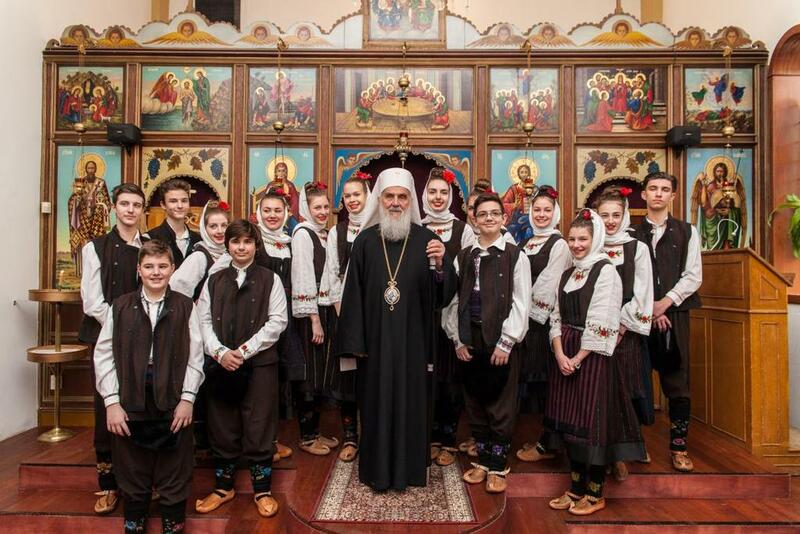 The parish choir “Kyr Stefan the Serb” sang responses; pupils of the Serbian school, members of the folklore group “Strazilovo”, actors of the Serbian theater, as well as Serbian consul Spasoje Milicevic and representatives of political life of the Republic of Serbia in Canada attended the service. On behalf of the parish His Holiness Patriarch was welcomed by the principal of this church Revd. Milos Puric. After the service, all the present entered the church hall where they attended the agape-feast.